At the end of the 19th century when the number of inhabitants in Tallinn reached 100,000 already, a new extensive cemetery was established in the open sandy region near Mustamäe adjacent to Nõmme. The intention of establishing a new cemetery there was published in the Postimees newspaper in 1899. The city land by the road of Vana-Pärnu, near the so-called Blue Mountains (Mustamäe that looks dark blue and is covered with forest while looking from a distance) was determined to be the land of graveyards by the city council: Jaani Congregation 17,200, Kaarli Congregation 12,400 and Pühavaimu and Baptist Congregation both 2,400 square cords of land. Whereby the city engineers were obliged to prepare the budget of expenditure of the graveyards mentioned. On November 18, 1903 Eesti Postimees announced that a new graveyard of the Estonian Kaarli Church near Nõmme at "Rahumäe" (since that time, the name Rahumäe given for the new cemetery became the place name of the neighborhood) was consecrated - i.e. on November 7, 1903. Separate parts of cemetery were allotted for several religious societies but also for Tallinn Fire Fighting Association (1926). There have been a few extensions of the borders of cemetery till recently. The major additional allotment was made in 1928 when the territory of the cemetery was extended across Rahumäe road towards the east. At that time Kaarli Congregation got that part of the cemetery which borders the railroad. That event is also marked by the relevant stone. All the 29 hectares of the cemetery were divided into at least 25 pieces, whereby the city government had the right to check the use of sums received from the sale of burial places for the purpose of graveyard maintenance. Since the establishment of the cemetery, its possessors have organised the bypaths and buildings. 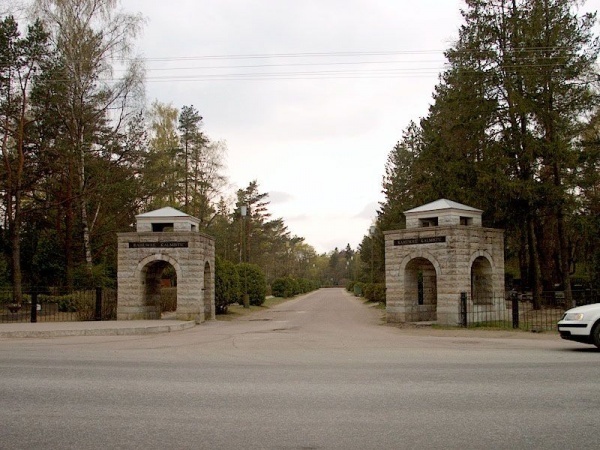 The centre of cemetery was also established together with the place for parking by which there are buildings of Kaarli and Jaani Congregation centres confronting each other, together with the funeral rooms. In 1913, more contemporary chapel building of Kaarli Congregation with two towers which imitates Kaarli Church, and in1932, more contemporary chapel building of Pühavaimu Congregation were built. Cemetery possessors built a wall that borders the older part from three sides and peripheral hedges were planted to another side. Until the Soviet order was established, the burial places were bought: more prominent and modest parts of the cemetery were developed according to the price, the design and maintenance of which have been taken care of by the possessors of the burial places. Through years, the cemetery has been brought up to date: the iron fences bordering the burial places are disappearing (since 1978, unauthorised removal of forged signs is forbidden), more attention has been paid to greenery. 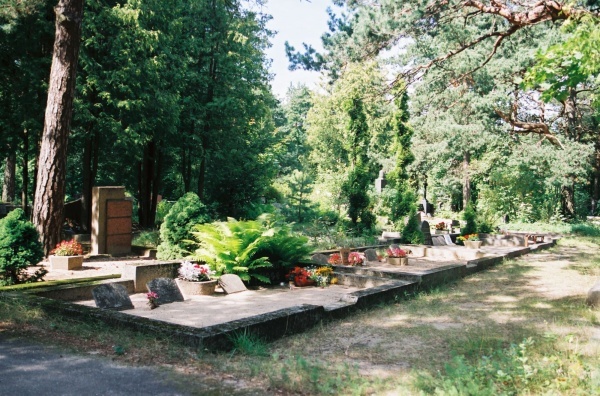 Rahumäe Cemetery, which was given uniform public maintenance since 1940's, has received thousands of residents of Tallinn. Among them there have been outstanding figures in society and culture whose graves have made it a memorial park. Rahumäe Cemetery is one of the most memorable cemeteries in Estonia. Many graves are decorated by the designs and sculptures created by famous artists. Rahumäe Road, ca 300 m from the cemetery towards the city we can notice the older pine trees in front of the house with a board fence by the road, where deep cross signs have been cut in the tree trunks. The pine trees bring to mind executions that have taken place under them. But the people have not forgotten about those who were killed and the tradition of remembering them by cutting cross signs in the tree trunks and painting them red has passed from one generation to another. One of these trees was known by the name of Veremänd. It was destroyed in winter 1930 and we can find a photo of that and a message from the Päevaleht of February 21, 1930 with the heading "The pine of the vanished graves was cut down". When on October 20, 1905 Tallinn sent to Rahumäe Cemetery the bodies of those who were killed at the meeting at new market on October 16, that crowded sad mourning procession passed the abovementioned Veremänd. The common grave of the victims at Rahumäe is marked now by the granite monument created by sculptor Juhan Raudsepp, symbolising the wheel of history.